Sikhism Followers - What many Sikhs are there? Where do they live? There are believed to be around 26 million Sikhs in the world. The country with the most Sikhs is India. About 75% of the Sikhs in the world live in the Punjab region of India, where they constitute a majority (60%) within the State. Large communities of Sikhs also live in neighbouring States in India. The State of Haryana has the second largest population of Sikhs of any India state - around 1.1 million. There are also large and small Sikh communities in many other parts of the country. In total, Sikhs make up about 2% of the population of India. 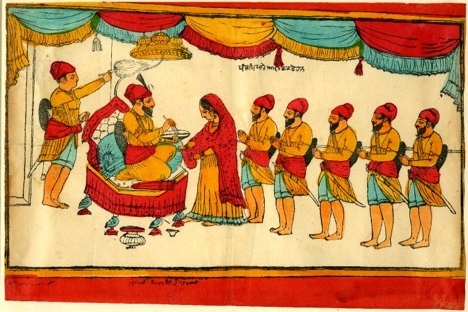 Due to migration beginning in the 19th century, there are now established Sikh populations in many other countries around the world. Large Sikh communities can be found in Australia, Canada, the UK, the United States, as well as East Africa, the Middle East, and Southeast Asia. Smaller Sikh communities can be found in many other countries. Around 750,000 Sikhs live in the United States. Nearly 500,000 Sikhs live Canada. More then 300,000 Sikhs live in the United Kingdom. Since 1968, Harbhajan Singh Yogi (also known as Yogi Bhajan and Siri Singh Sahib) of the 3HO movement (Healthy, Happy, Holy Organization) began to win many non-Punjabi converts to Sikhism (known as white Sikhs) especially in the United States. There are now many thousands of non-Punjabi Sikhs in many countries around the world.